What Do You Tip For a Kidney? You may know how to tip for service, but how much do you tip for a kidney? As an entrepreneur (or if you ever worked in the service industry) you probably don’t think twice about dropping some cash into a tip jar, but what do you really know about how those tips are factored into wage and hour laws? 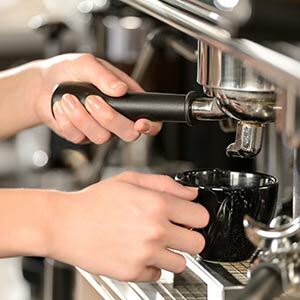 Adding employees may be a necessary component to expanding your small business and the laws surrounding employees can seem pretty complex – especially those surrounding the subject of tipping. Don’t let that stop you! Here’s a quick rundown of how tipping impacts you as an employer. Tipping is covered under the federal Fair Labor Standards Act (FLSA), Dept of Labor Guidelines, and state law. Read on to learn more about the legalities of tipping and get our 50-State Survey Chart summarizing the Laws of Tipping. I was wanting to blog about something good about National Coffee Day on September 29th. It only seemed fair that I should pay tribute to the beverage that helps me start each day. Then I remembered the story of Sandie Anderson, the Starbuck’s barista who connected (in a big way) with one of her customers, Annamarie Ausnes. Sandie and Annamarie were casual acquaintances, trading stories a few times a week while Annamarie ordered her coffee. In 2007, Annamarie shared the sad news that her kidneys were failing and no one in her family was a match. Sandie, touched by the story, took customer service to a whole new level by getting tested to see if she was a possible donor. When she discovered her kidney was a match she offered up much more than a morning latte to Annamarie. She offered her kidney. If you missed the story, click here to read it. After hearing the story I kept asking myself: Does Annamarie still drink coffee? Does she still see Sandie at Starbucks? If so, what exactly does Annamarie tip her? Would it surprise you to know that not all tipped employees are covered under the law? Under the FLSA, a tip is a sum presented by a customer as a gift or gratuity in recognition of some service performed. Tipped employees are those who “customarily and regularly” receive more than $30 per month in tips. An employee only “occasionally or sporadically” receives tips totaling more than $30 a month is not considered a under this FLSA law. For example, a waiter who is newly hired will not be considered a tipped employee merely because the other waiters in the restaurant receive tips over $30 a month. Tips are owned by the employees. A tip credit happens when employers can take the amount of tips to partially satisfy the employer’s minimum wage obligation. By using a tip credit, employers can pay employees less than minimum wage, if the employee’s hourly wage plus tips equals or exceeds the minimum wage. Some states allow this practice and some do not so please visit with a lawyer in your state to determine what’s right for your own business! Mandatory tip pooling occurs when tipped, nonexempt hourly employees are required by the employer to pool a portion of their tips together. The pooled money is then divided and redistributed according to a pre-arranged system. Tip pools allow employees who do not typically receive as many tips directly from customers, such as bussers or hostesses, to share in the benefits of good service. 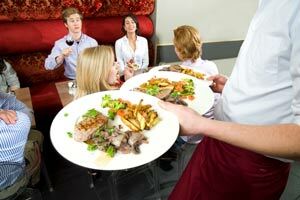 Under the FLSA and many state laws, employers may require tip pooling among their staff. There is no one-size-fits-all answer as to whether certain employees may be considered an employer and therefore should be precluded from the tip pool. The amount wrongfully withheld from each employee in the tip pool. A possible tip credit violation that invalidates the employer’s ability to use the tip credit for the employees in the tip pool. Want to know more? Contact Us and ask us about a 50-state survey Chart summarizing state wage and hour laws for tipped employees. This chart highlighs the differences between state law and the requirements under the Fair Labor Standards Act (FLSA) and the Department of Labor’s (DOL) guidelines. It covers whether employers may establish mandatory tip pooling agreements, which employees are considered “tipped employees” and whether employers may deduct a tip credit to satisfy their minimum wage obligations.